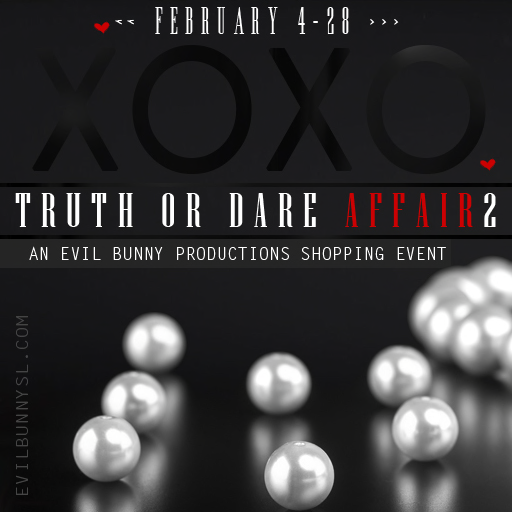 So if you havent been to the Truth or Dare Affair 2 then what are you waiting for ?!?! It opened up on the 4th of February and runs until the end of the month! MOoH! has this cute dress called Tule for several body types and it has a color/texture change hud so that you can change different parts of the dress for you. I just fell in love with it when I first saw it and had to show you! The parasol was a cute little thing I picked up at the Coven event and it comes with a metal changing hud ! The Lucy shoes as always are gorgeous and come with a texture change hud for the shoes and metal parts on the shoes. Have a wonderful Day!